Several ibidi products are designed for use with suspension cells. Depending on the special application, suspension cells can be embedded in a gel matrix, which allows for liquid handling and medium exchange. Working with the micro-Insert 4 Well facilitates suspension cell handling without any gel matrix. The cells settle at the bottom of the 10 µl wells. The conical wells protect the non-attached cells on the bottom from flow forces. Medium exchange is done by carefully exchanging the medium inside the petri dish, where the micro-Insert 4 Well is placed. 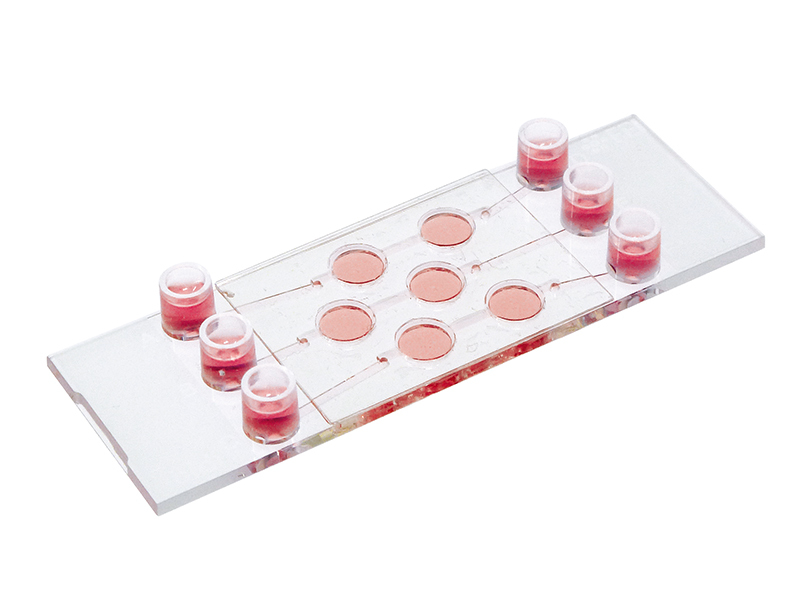 When working with our µ-Slide Angiogenesis, suspension cells can be embedded in 10 µl of a gel matrix. 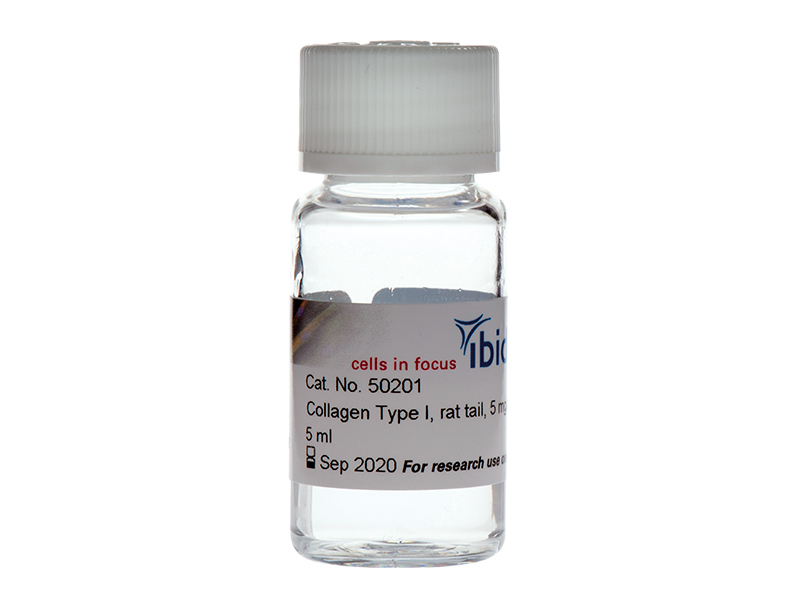 Here, cells can be cultured and imaged inside a protective gel matrix, over extended periods of time. 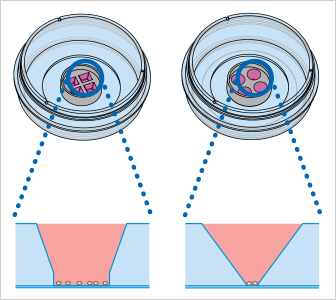 The overlaying culture medium can easily be exchanged to extend the experiment duration for live cell imaging. 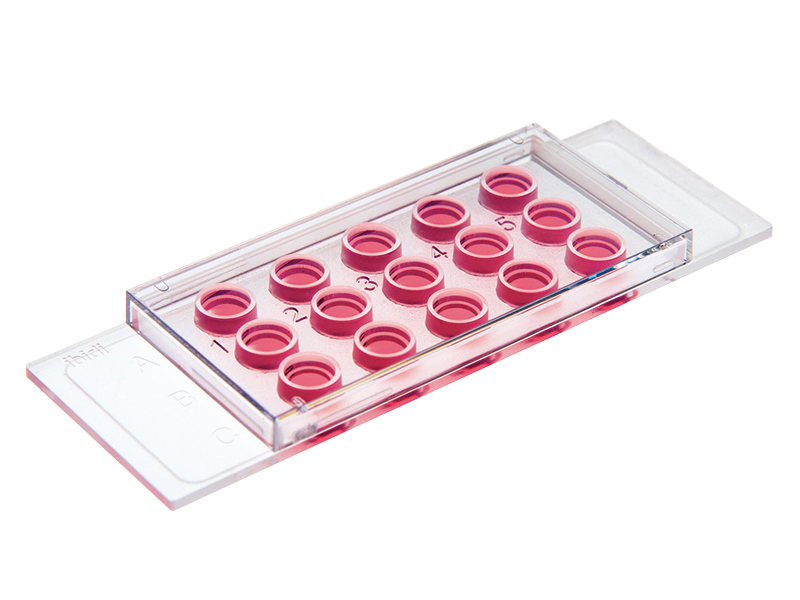 In the µ-Slide III 3D Perfusion, suspension cells are embedded in a 30 µl well. The well is connected to channels that allow a gently medium perfusion. Nutrients, drugs, or staining solutions can be delivered by perfusion. If a chemical gradient is desired, or the migration of cells in a 3D gel is of interest, the µ-Slide Chemotaxis can be used. Suspension cells and gel matrix are mixed, and then filled into the observation area. If one of the large reservoirs is filled with a chemoattractant, a chemical gradient will be formed by diffusion across the gel, therefore enabling the cells for chemotaxis. 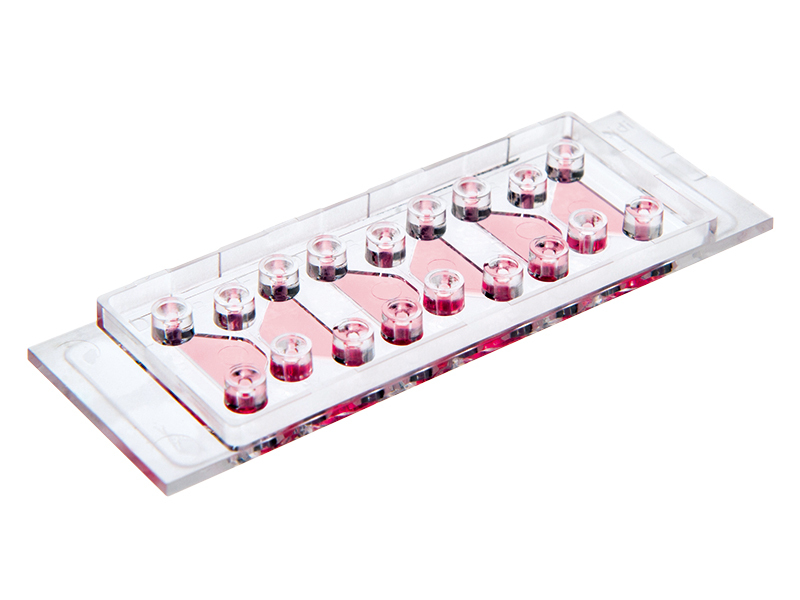 For embedding suspension cells in gel matrices, we recommend a Collagen Type I gel, Matrigel, or any other hydrogel, depending on the cell type.